It’s Wednesday, and on Wednesday’ we wear pink… a la Mean Girls. While I don’t believe that pink has ever made the top of my favorite colors list, I do love the classic, femininity associated with it. As one who made every attempt to be stereotyped early on, I put pink away and tried to be a number of people, hence my irrational style. 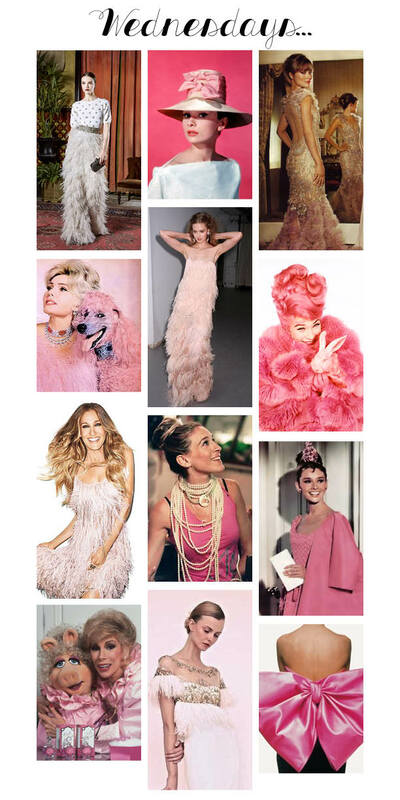 My Pinterest seems to have crafted quite the tribute to feathers, frills and the ladies who embody everything pink. So, on this Wednesday, I present – an ode to pink.